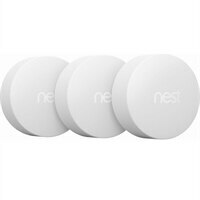 Nest Temperature Sensor - 3 PackMost homes aren’t the same temperature in every room. With the Nest Temperature Sensor, you can let your Nest thermostat know which room should be the most comfortable. Just place it on a wall or shelf and get the right temperature, right where you want it.